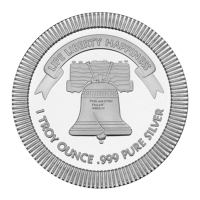 Buy this 1 oz Liberty Bell silver round minted by Silvertowne at the lowest price online. 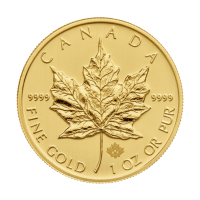 This round is .999 pure, and features one of America's most iconic symbols of freedom and independence. The Liberty Bell is supposed to have cracked the first time it was rung, and was subsequently re-cast twice. The bell can be found today in the Liberty Bell Center in Independence National Historic Park in Philadelphia. The reverse of this round displays a heraldic eagle holding arrows and a branch in its claws, with a shield upon its chest. 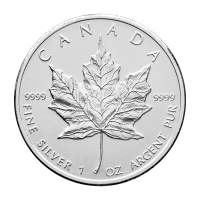 This innovative silver round is produced by Silvertowne, one of the best known and most prolific private refiners in the U.S. 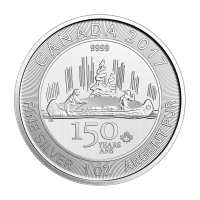 The design is inset on the obverse, which creates a slight lip on the reverse allowing the rounds to be securely stacked. Easy to stack and store, order yours today! 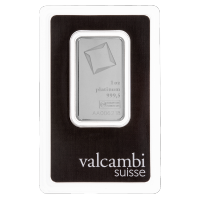 وجه العملة صورة لجرس الحرية وعبارة "Life Liberty Happiness 1 Troy ounce 999 Pure Silver"
ظهر العملة النسر الشعري وعبارة "ليبرتي سيلفر وان تروي أوقية 999 سيلفر"
صورة لجرس الحرية وعبارة "Life Liberty Happiness 1 Troy ounce 999 Pure Silver"
النسر الشعري وعبارة "ليبرتي سيلفر وان تروي أوقية 999 سيلفر"
1oz Silvertowne Liberty Bell Stackable Silver Round Buy this 1 oz Liberty Bell silver round minted by Silvertowne at the lowest price online. 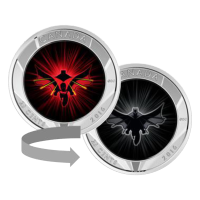 This round is .999 pure, and features one of America's most iconic symbols of freedom and independence. The Liberty Bell is supposed to have cracked the first time it was rung, and was subsequently re-cast twice. The bell can be found today in the Liberty Bell Center in Independence National Historic Park in Philadelphia. The reverse of this round displays a heraldic eagle holding arrows and a branch in its claws, with a shield upon its chest. 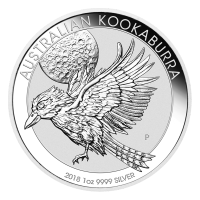 This innovative silver round is produced by Silvertowne, one of the best known and most prolific private refiners in the U.S. 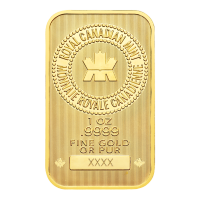 The design is inset on the obverse, which creates a slight lip on the reverse allowing the rounds to be securely stacked. Easy to stack and store, order yours today!